Taft Egan is well known and respected in the Parks and Recreation industry. As a child, his Mother affectionately nicknamed him Big T. This was the inspiration behind Taft's park and recreation equipment supply company, Big T Recreation. After completing hundreds of playground and park projects, Taft and Big T Recreation can ensure your project will be a success! In addition to being able to supply the very best in park and recreation equipment, Big T Recreation also can provide complete project management specific to equipment supply and installation. 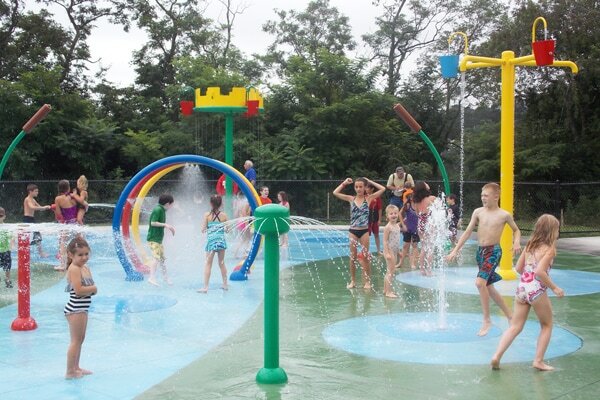 Playgrounds, Pavilions, Site Furnishings, Splash Pads, Outdoor Fitness and more. Big T Recreation welcomes the opportunity to participate on your next park and playground project. Experience to make your project a 'BIG' success! At Big T Recreation we understand the importance of play for all ages and we are looking forward to being your project partner. Our commercial playgrounds are perfect for Schools, City Parks, Community Housing, and Daycares. We can manage your entire project from design to installation. Our playgrounds our found at some of the most amazing parks across Utah, Nevada and Idaho. Take a look at Wheadon Farm, Container Park, or Ellison Park to get inspired! Escape the hot sun under one of our fantastic shade systems or pavilions. Get a custom pavilion of any size and a picnic table or two to go along. Enjoy shade for decades to come with our commercial grade pavilions. Or integrate a shade umbrella on your playground. Kids and splash pads go together like PB&J. Complete your splash pad with buckets, blasters, loops, slides, inground spouts, of course buckets! See all of our options here. Or check out a few of our splash pad project videos like the Morgan Splash Pad or the Cottonwood Heights Splash Pad.